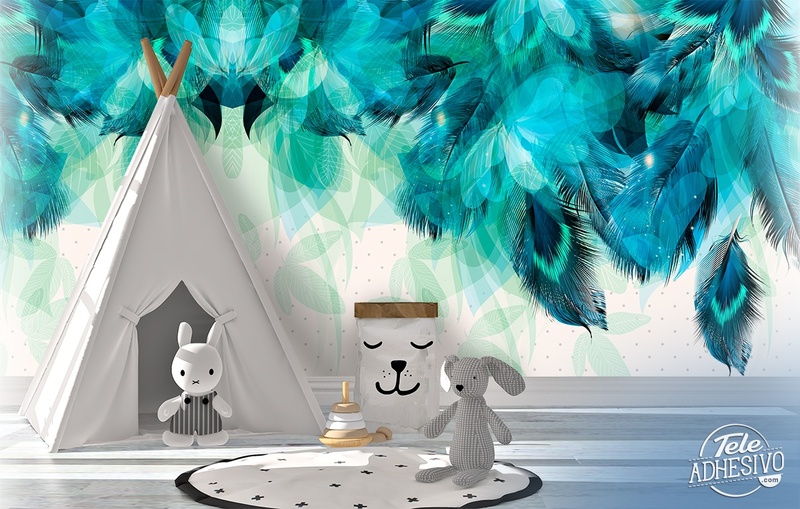 Wall mural Turquoise feathers and leaves. Fantastic image of feathers and leaves of turquoise tone, of indefinite structure. The feathers and leaves are very used elements in decoration for their ease of combination. Abstract image ideal to decorate any place, from a business to a room.